Samsung's Infrared Extender cable is a little device that lets the Smart Touch Remote communicate with your cable box or other AV devices. In other words, you will be able to turn the cable box on and change channels with the Smart Touch Remote without using your cable remote. 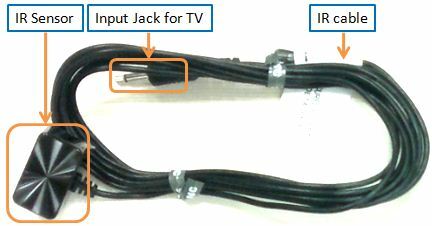 ● IR Extender cable enables us to control connected external devices with TV using the Smart Touch Control. ● IR Extender sensor sends an IR signal into a corresponding external device.